This lovely oval 18K gold locket has the image of a tree hand engraved on it. The tree symbolizes so many things. Strength, durability, family, life, ancestry....a perfect heirloom locket. Sized nicely at 3/4" by 1" long. Handcrafted and hand engraved by the master goldsmiths in England. 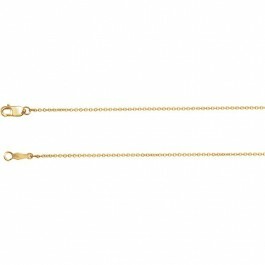 Available in 18K white or yellow gold, or platinum. Choose your gold color in the shopping cart. If not in stock, it generally takes 2-3 weeks for delivery. 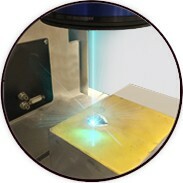 Email us for platinum prices. Please email us for details. This locket is shown with the Jordan, 18K chain. 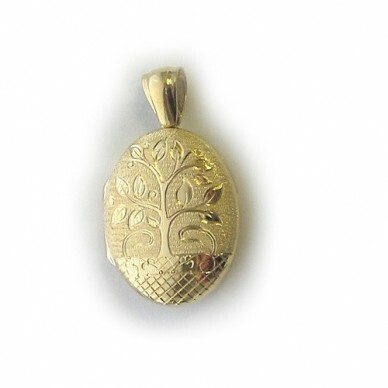 This lovely oval 18K gold locket has the image of a tree hand engraved on it. The tree symbolizes so many things.